When it comes to purchasing insurance for your car(s), home, business, or even life, it is always a good idea to shop around. 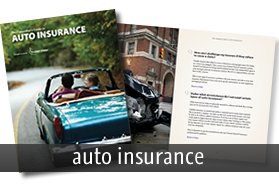 Insurance is a competitive industry and you may be bombarded with advertisements offering to save you an average of $436 per year with one company; or faster, easier online service with another. The agents at Kasmann Insurance would like to remind you why it is a great idea to have an Independent Insurance Agent on your side. 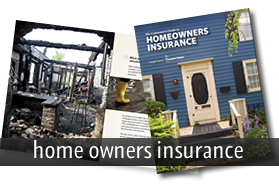 First, let’s start with the different types of insurance agents who can work with you. Captive (or exclusive) agents only work for one company, which means they can only sell one company’s policies and products. Shelter, State Farm, AAA, and Farmers are examples of companies who only employ captive agents. Since the birth of the Information Age, some companies have chosen, or have even been created, to offer insurance by Internet or phone, exclusively. These companies are similar to captive agencies, since they only offer coverage through a single insurance carrier. Some online companies have been so successful in advertising, they have become known for their mascots or celebrity endorsements (e.g. the gecko and Shaquille O’Neal). The third (and best according to some opinions) type of insurance agents are independent agents. An independent agency is a privately-owned business that is contracted to sell insurance through several different companies. Unlike captive agents who represent a company to a customer, independent agents represent the customer to one of their companies. Most independent agents belong to Trusted Choice®, a national association committed to serving the needs of insurance consumers. Personal Shopper – An independent agent has access to rates and coverages through many insurance companies. They can provide you with several quotes and can help match you with a company that fits your specific needs. The benefits of an insurance personal shopper can save you money and a lot of time. Customer Service – Whether you have a question about your coverage, need to make changes to your policy, or turn in a claim for damages, your independent agent is an insurance expert who can provide you with knowledgeable personal service. One-Stop Shop – Take care of all your insurance needs under one roof. 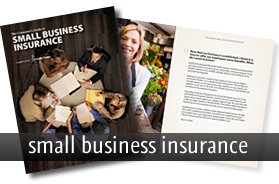 An independent agency can help you ensure your small business, along with your personal autos and home. 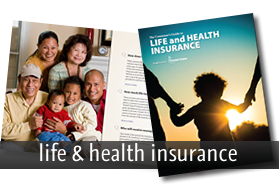 They can also help you take care of life insurance, disability and long-term care plans. Community Involvement – As local business owners, many independent insurance agency principals place a strong emphasis on giving back to their community. Many agencies donate to local charities, sponsor community events, volunteer, or even serve as board members for non-profit organizations. Reputation – Choosing an agency you can trust is vital. Independent agencies take pride in the number of years – even decades – that they have been serving the needs of their policyholders. The longevity of an agency not only indicates they have a respectable reputation within the community, but it also implies they are financially stable and will able to continue doing business in the future. Advocate – In addition to building a strong reputation in the community, independent agents also take pride in the reputations they build with the companies they work with. Having an advocate to negotiate on your behalf with the insurance company could be helpful for a policyholder applying for new coverage, with billing or claim concerns, or coverage issues. Protection and Peace of Mind – Working with an independent agent will provide you with peace of mind knowing your coverage is with someone you can trust to provide you with the best coverage for the lowest price that fits your needs. The independent agents at Kasmann Insurance would be happy to be your personal shopper while providing excellent customer service at our one-stop shop. Our reputation as a third generation agency in business over 90 years proves our steadfast commitment to our community, our companies, and our customers. Not only do the Kasmanns volunteer for various causes, they are also proud to sponsor several local events each year including Salute to Veterans Air Show and Paws in the Park. If you are looking for a loyal insurance advocate, call Kasmann Insurance to provide you with protection and peace of mind. We are eager to start shopping for you today!